Everyone knows that IKEA is a Swedish company, but did you know there’s another Swedish company named Superfront, that have a collection of fronts, handles, legs, sides, and tops that are specifically designed to fit onto IKEA’s most common cabinets? FRONTS – they have a variety of plain and patterned fronts, that are also available in a variety of colors. You can also mix and match to have plain and patterned together. 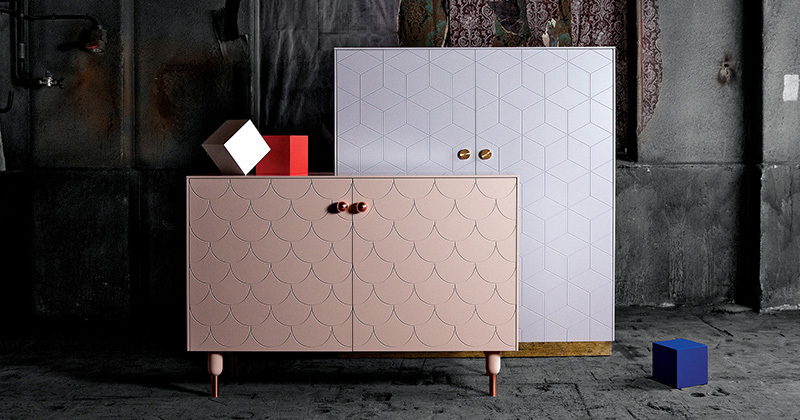 LEGS – they’ve designed 11 different leg designs for cabinets and beds. HANDLES – They have 64 different looks, made up of 10 different designs that are available in a bunch of different colors and materials.